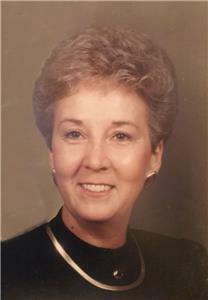 Elizabeth “Ann” Treshansky, 75, of Ooltewah, died on Friday, November 17, 2017. She was a resident of Hamilton County for the last 20 years and was of the Baptist faith. Ann was preceded in death by her parents, Atlee Beene and Doyle M. and Corinne Housley; sister, Carolyn Earlene Linam and brother, William “Bucky” Housley. Survivors include her loving husband, Joel Treshansky; daughter, Debbie (Steve) Solterbeck, Aldie, VA; son, David (Debra) Treshansky, Hazel Green, AL; grandchildren, Jana (Phil) Solterbeck, Shannon (Garrett) Buzzard, Dayna (Mark) Stone, Chase Solterbeck, Keri Treshansky and Kristy (Charlie) Routon; great-grandchildren, Austin (Adia) Knowles, Bailey Knowles, Emma Treshansky, Ty Hovis, Ethan Buzzard, Ryan Buzzard, Aidan Stone and Rylee Stone; great-great granddaughter, Ivie Knowles; brothers, Atlee Earl (Luann) Beene, Jr., Harrison, Doyle M. Housley, Ooltewah, and David R. (Barb) Housley, Muscatine, IA; sisters, Bernice Sale, Chattanooga, and Janice P. Anderson, Soddy Daisy; and several nieces and nephews. Funeral services will be held at noon on Tuesday, Nov. 21, in the funeral home chapel with Pastor R. Wayne Peters officiating. Burial will follow in the Chattanooga National Cemetery. The family will receive friends from 4-7 p.m. on Monday, Nov. 20, at Heritage Funeral Home, East Brainerd Road.